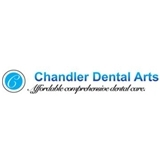 Chandler Dental Arts (Chandler) - Book Appointment Online! Dr Patel and his staff were all very friendly and professional. I appreciated the honesty about the dental work I need; they helped me to figure out which issues are a priority and which ones can wait. They also figured out the best way to maximize my insurance. It was a great experience.